This is a round Atlantic Ale-Beer porcelain sign. 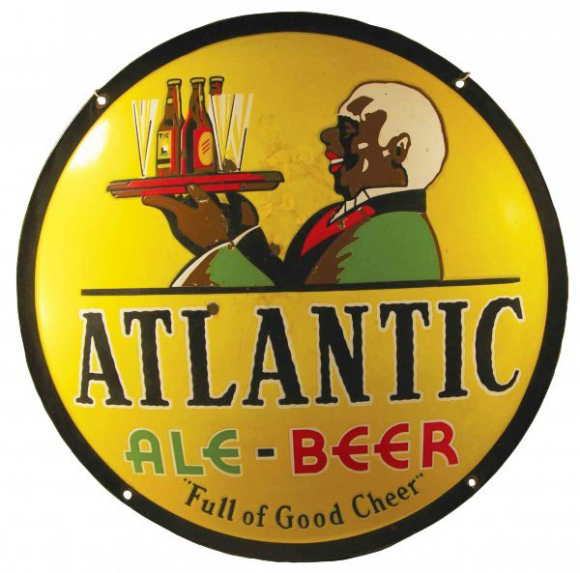 This particular Atlantic Ale-Beer sign is predominantly yellow with a black border and features a smiling black man serving beers on a tray. It reads, “Atlantic Ale-Beer, Full of Good Cheer” and is very colorful.